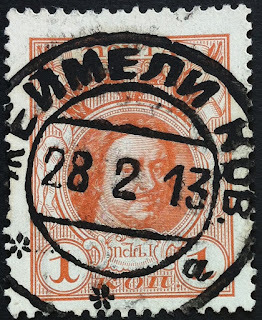 It has been long since I have posted something here the last time I guess.. I'm planning to slowly come back on track! 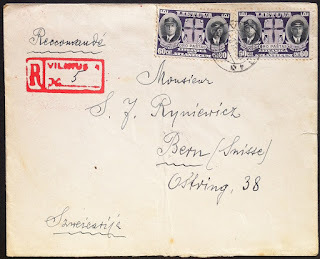 Anyway.. 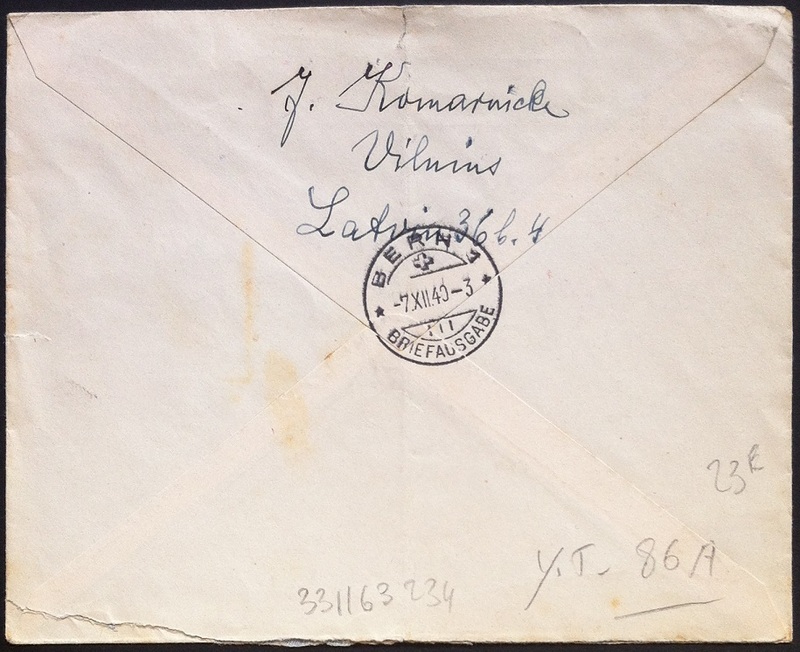 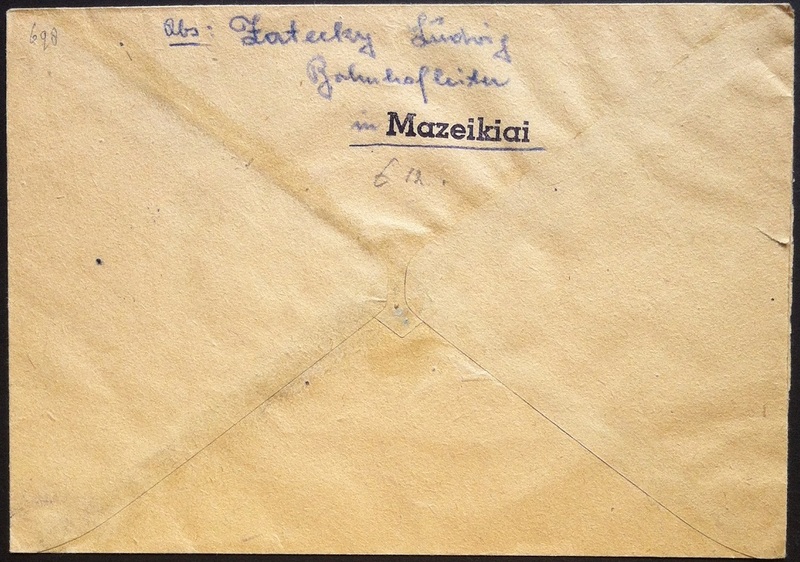 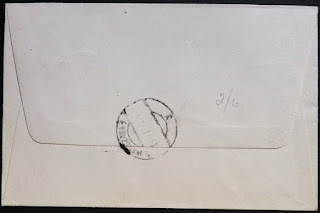 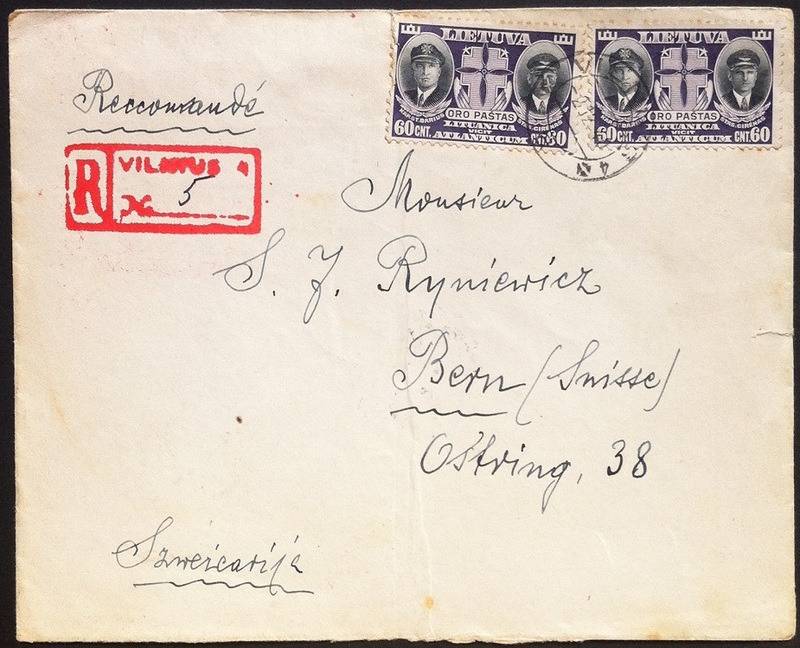 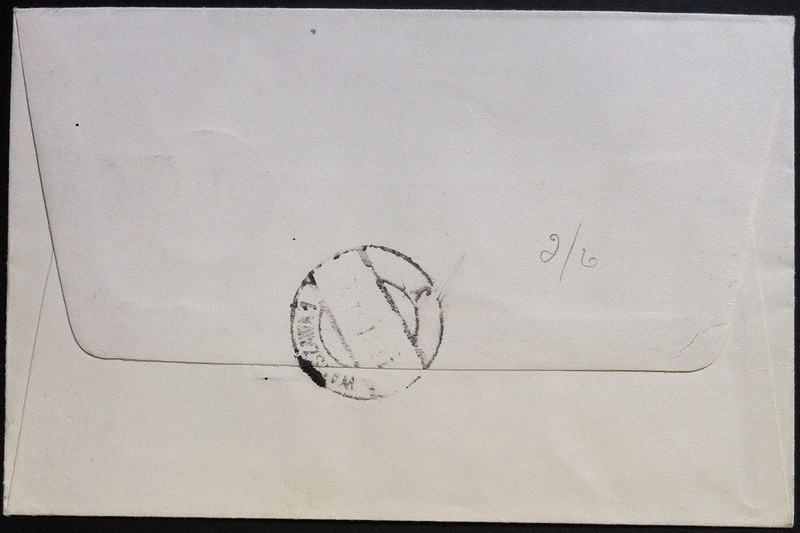 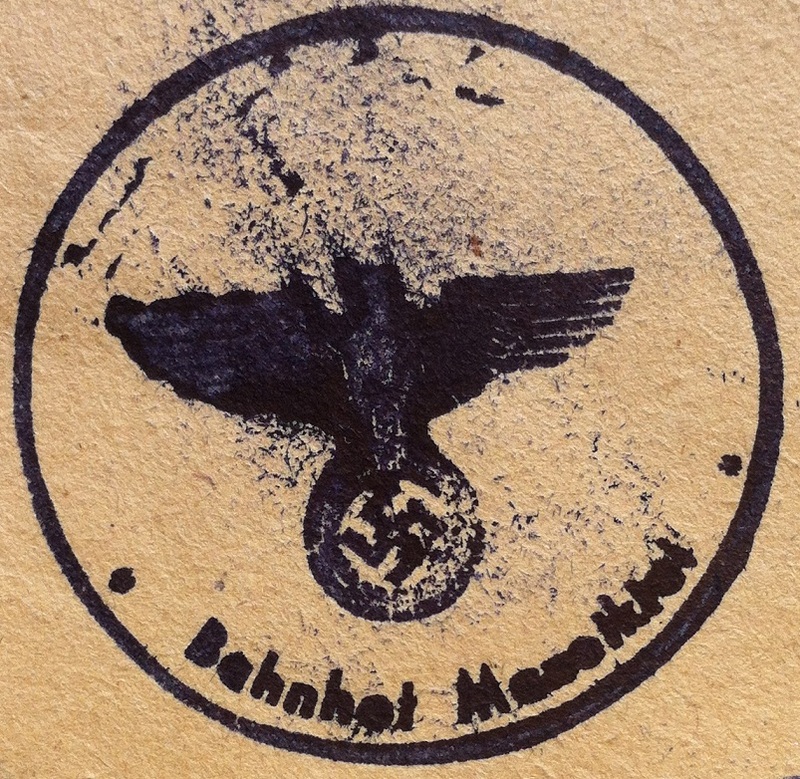 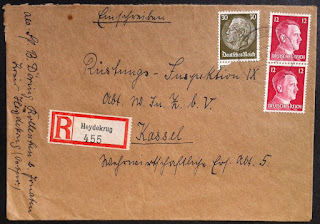 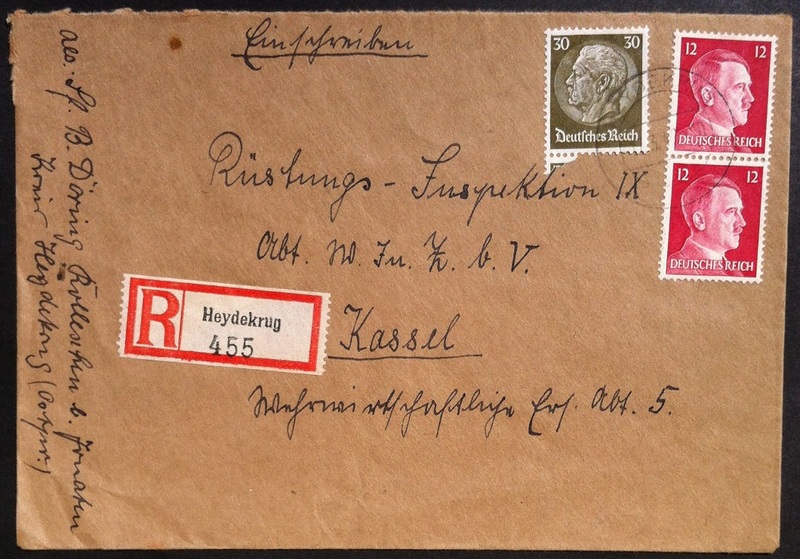 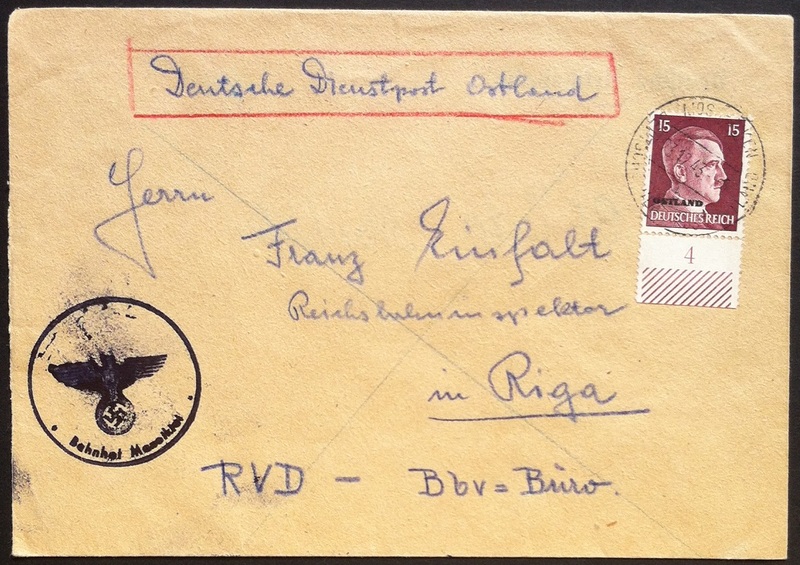 So, here is a registered cover sent in 1942 from Heydekrug (today Šilutė, Lithuania) to Kassel in mainland Germany. 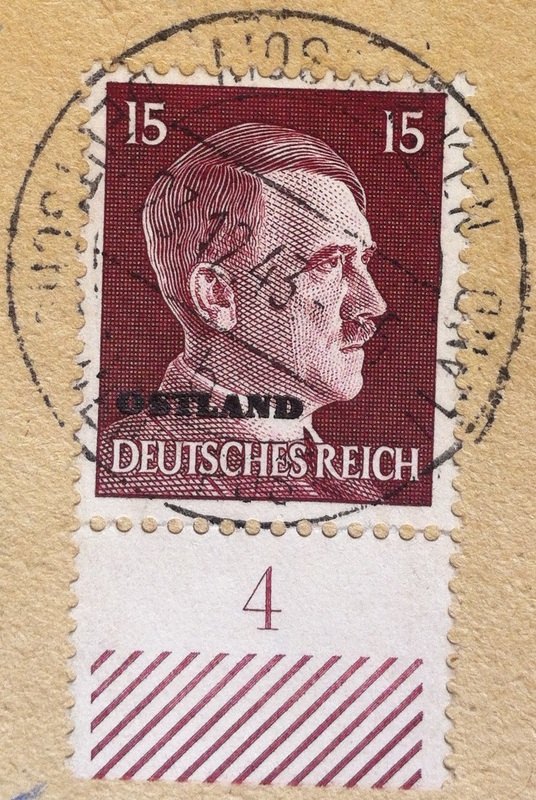 1942 is in the middle of WWII as we all know and Heydekrug / Šilutė has been re-annexed by Germany along with the rest of Memelland. 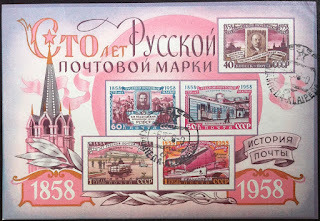 I guess the followers of this blog know that but let me mention it just in case if you happened to be new to this blog.. 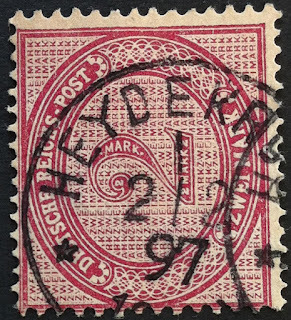 The sender's address is in Kolleschen (previously called Kolletzischken) b. Jonaten, a small village not far from the narrow-gauge line Heydekrug - Jonathen (or Jonaten). 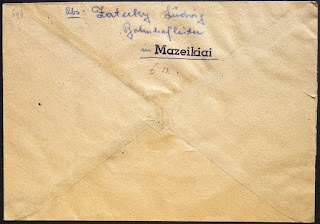 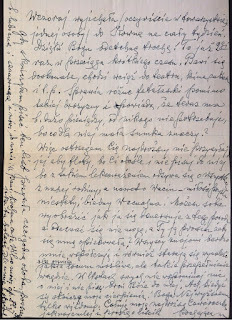 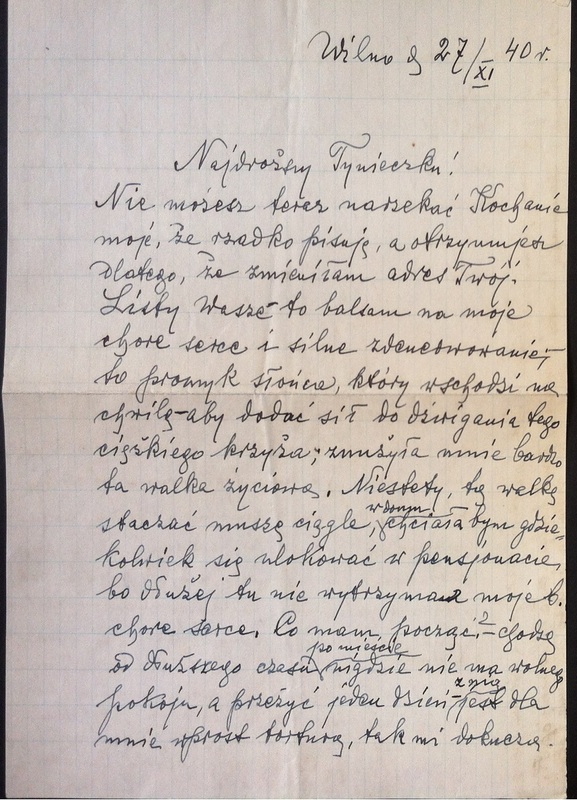 I wonder if the sender was working or just happened to be in Heydekrug to send this letter because there were closer post offices from where he was living, notably Jonathen. 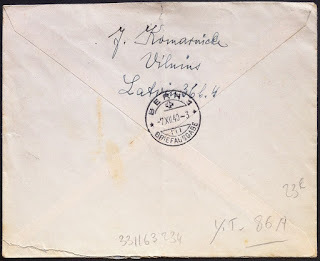 I bought this cover at Yahoo Japan with a ridiculous price of 500 JPY (4.50USD or 4.30EUR) along with a Tilsit and a Skaisgirren cover (which I'm not going to post here because those are not part of Lithuania but part of present Russia) buried among hundreds of German covers. 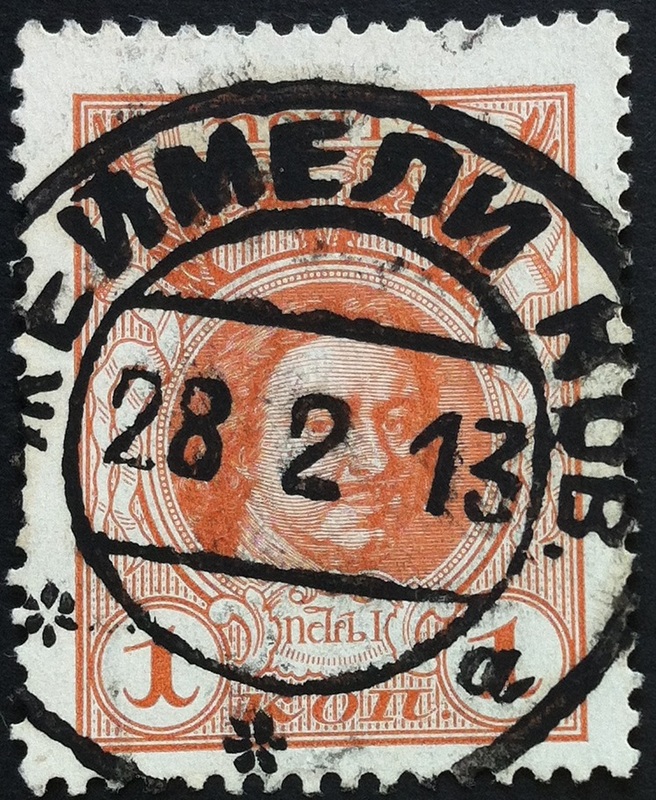 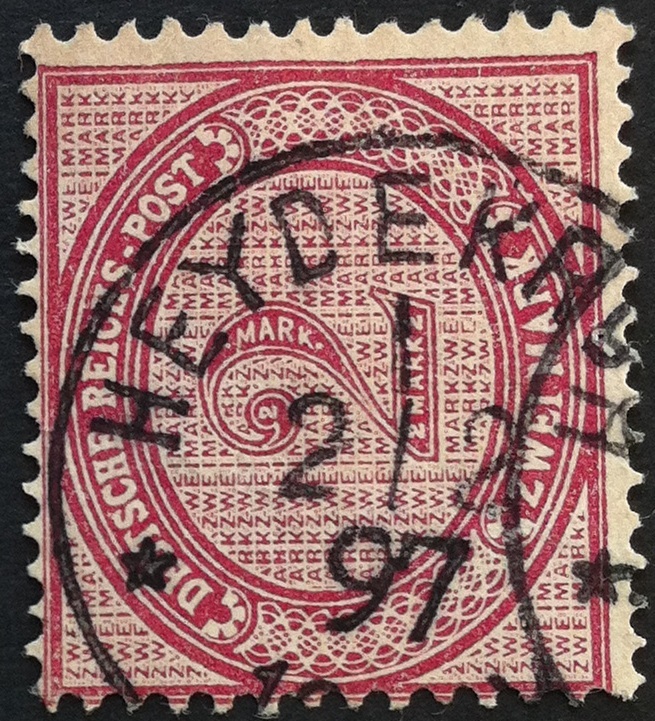 Regular dealers don't usually notice Memelland covers unless Memel stamps are used on it. 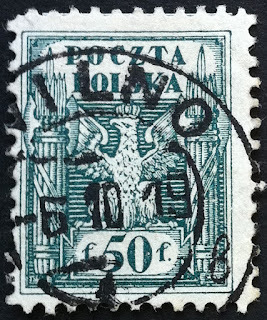 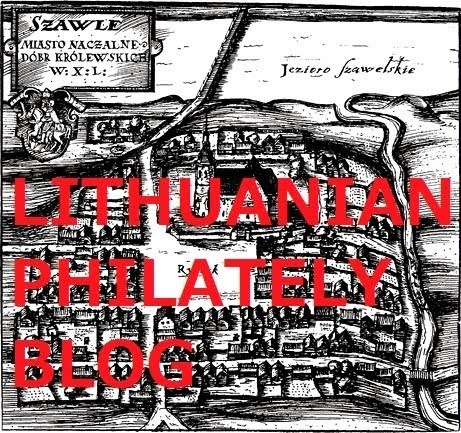 I have created a new blog covering postmarks of everything except Lithuania. 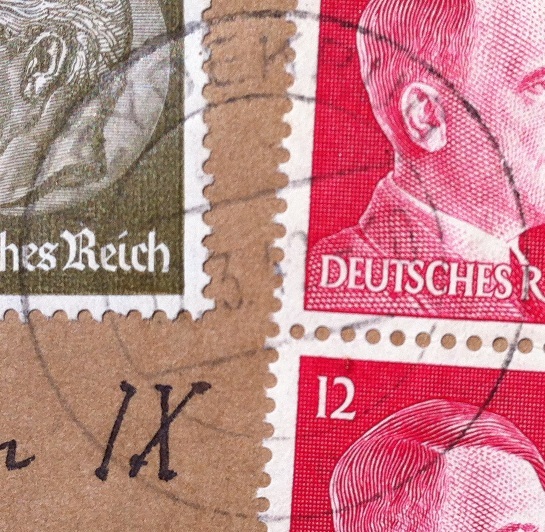 Check it out if you are interested! 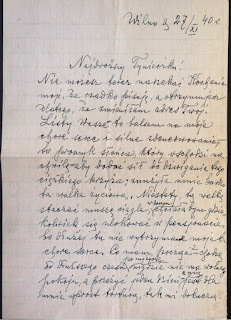 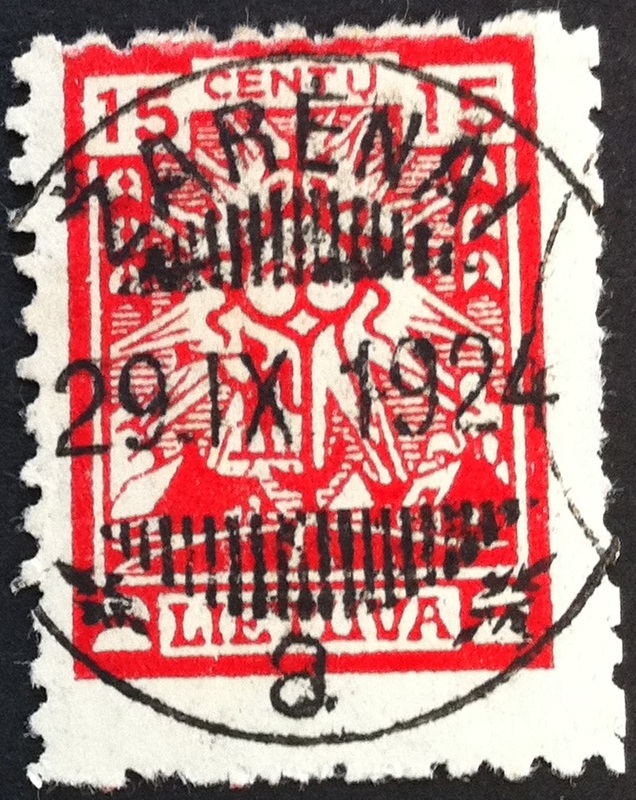 Wilno 1919 (now Vilnius, Lithuania) rare 1919-20 Polish occ. 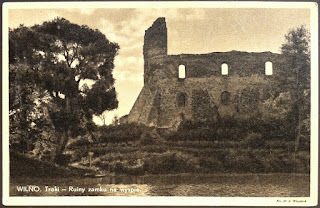 This is a postcard of Troki (now Trakai, Lithuania) sent in 1941 from Vilnius, part of German occupied Ostland to Riga, which was also part of the same territory. 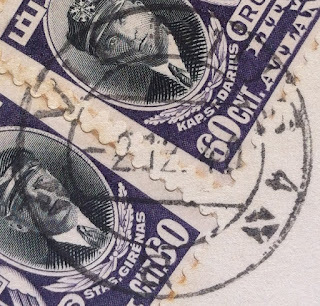 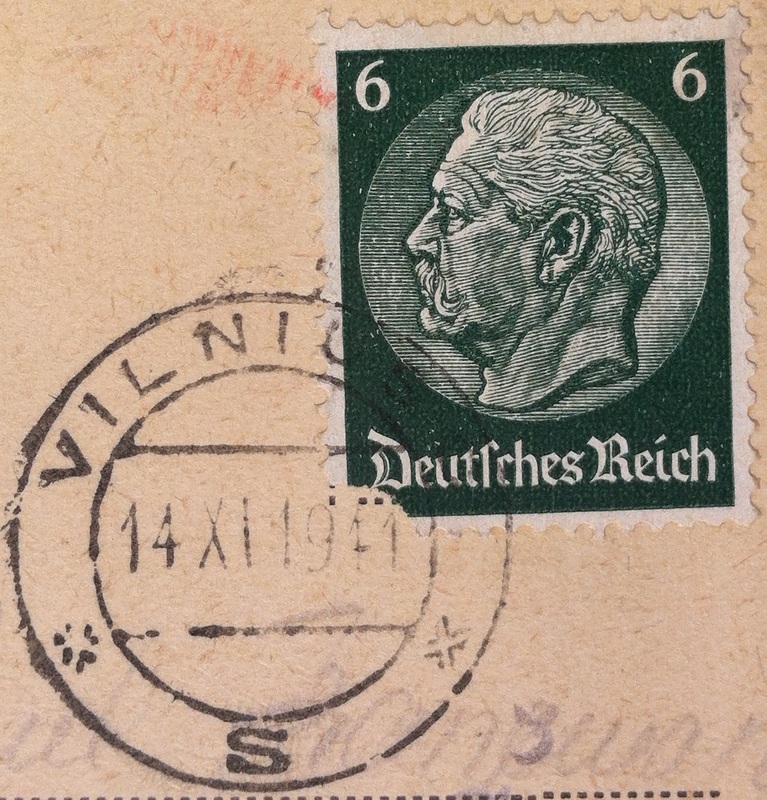 It has a nice simple single Hindenburg stamp franking with a postmark of Vilnius C. dated 14 XI 1941. 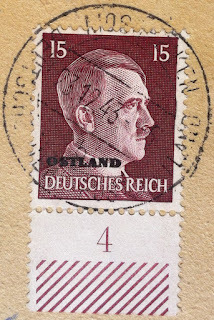 As I've already mentioned in the past in this blog, regular Reich stamps were also valid along with the Ostland overprinted stamps. 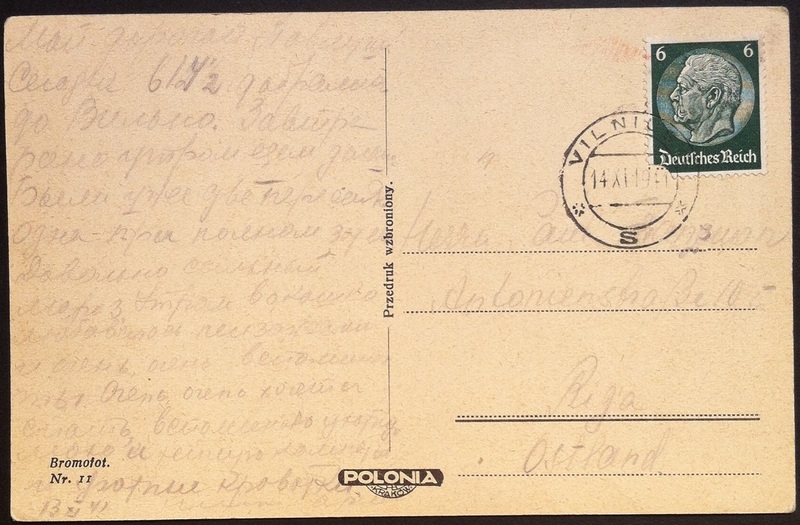 It looks like the text is written in Russian and the slightly visible trace of red ink on the upper left corner of the stamp is probably hand stamped censorship mark. 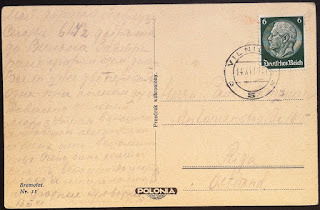 It is interesting that Polish postcards with Polish inscriptions are still available for the local market considering the place was under German occupation which often replaced anything printed in the local language by their own productions. 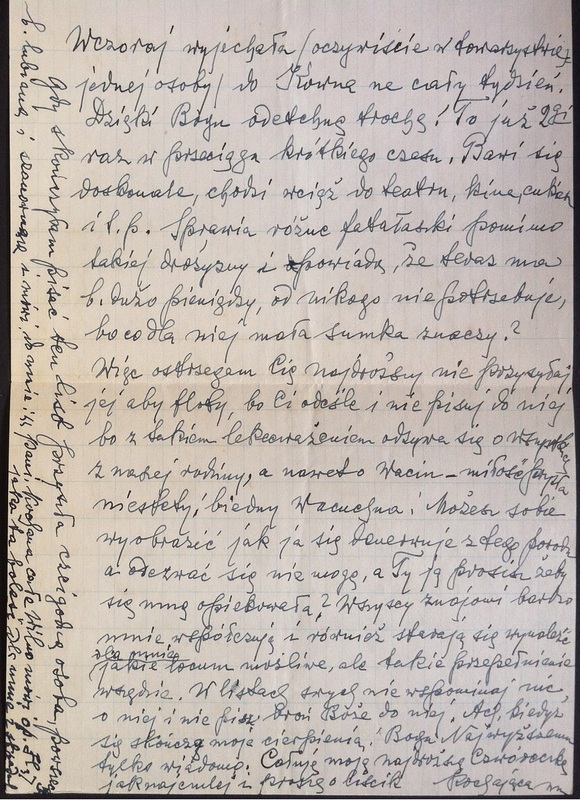 I have few Gryżewski covers and this one is my personal favorite. 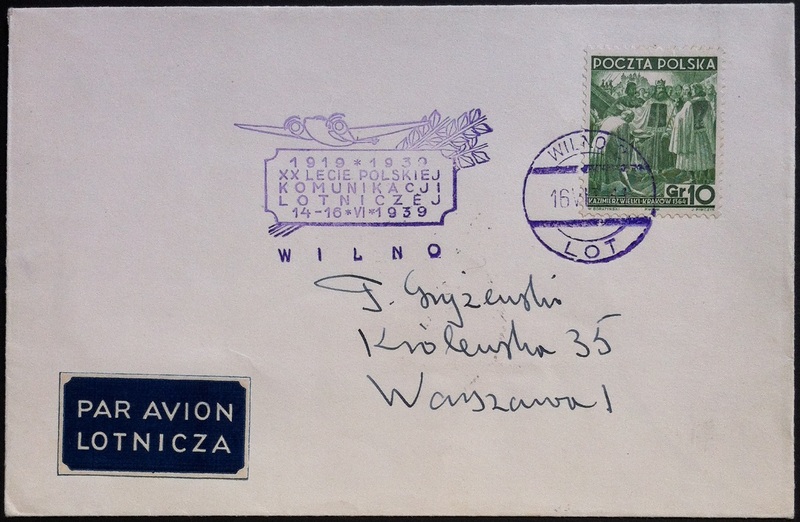 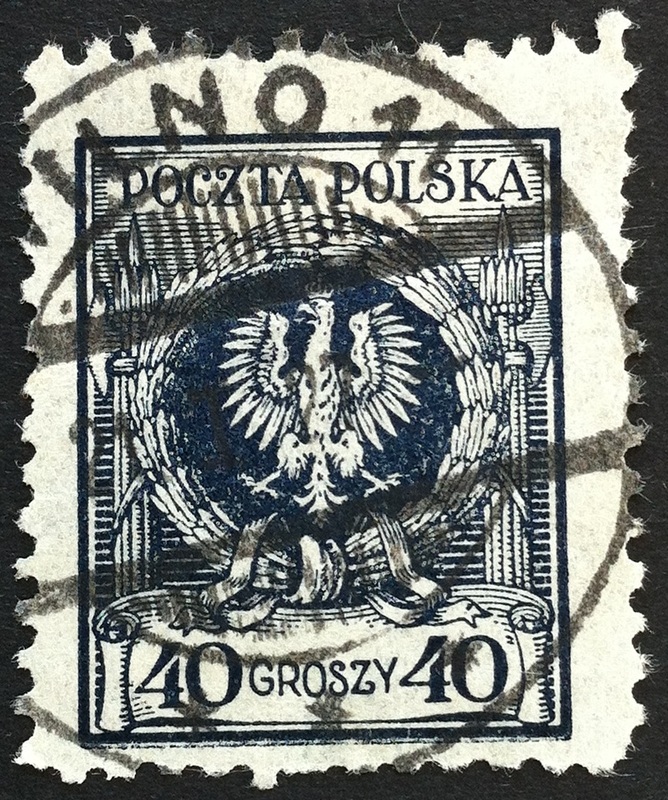 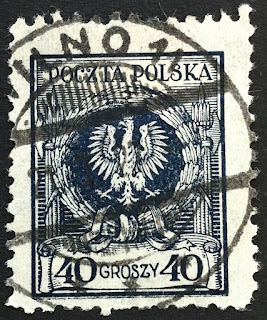 It is a philatelic cover sent in 1939 from Wilno 2 to Warszawa (Warsaw) with a special postmark commemorating the 20th anniversary of Polish air links. 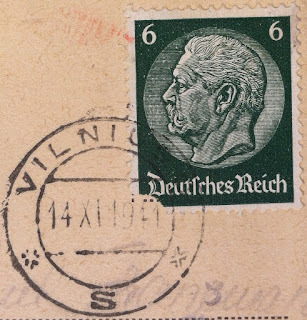 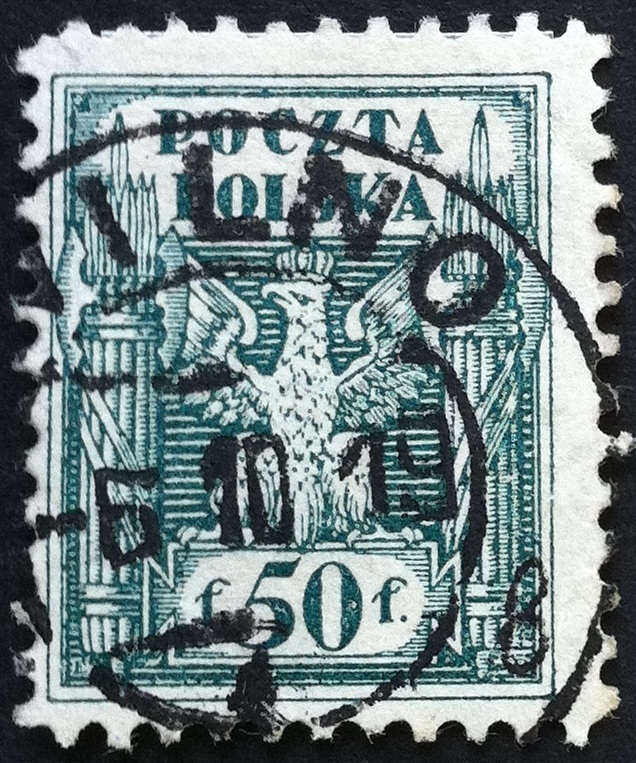 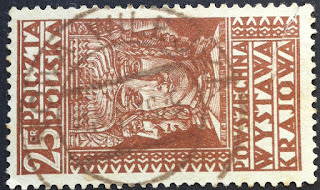 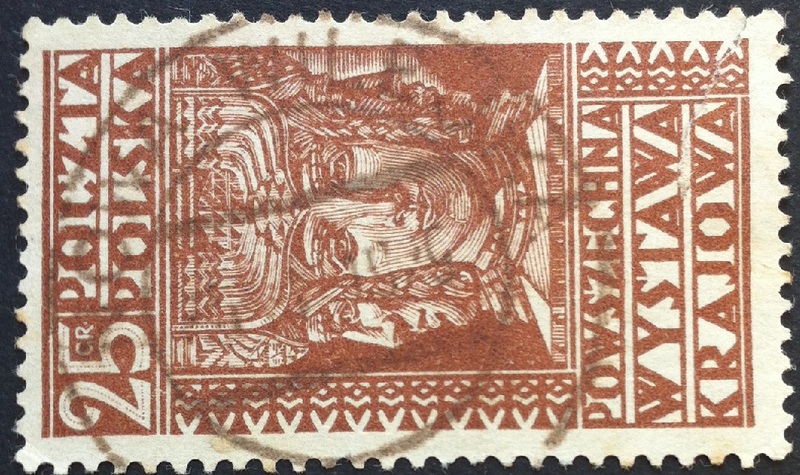 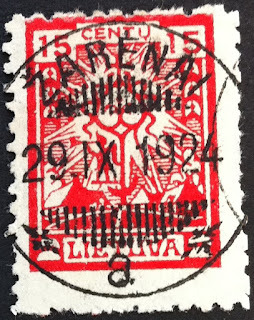 According to B. Brzozowski's "The Vilnius Directorate of Post and Telegraph between 1919 and 1939", the illustration part and the date part of the postmark is separated but on my copy, it looks like a single ensemble or even a machine cancel of some sort. 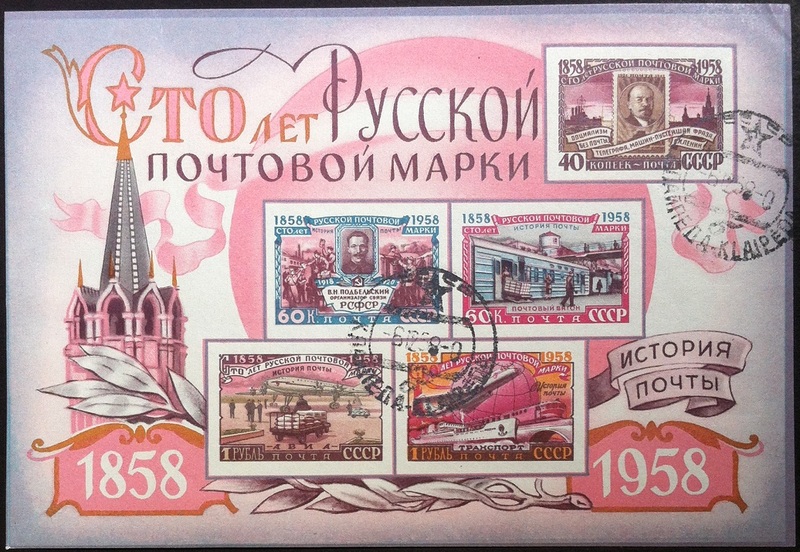 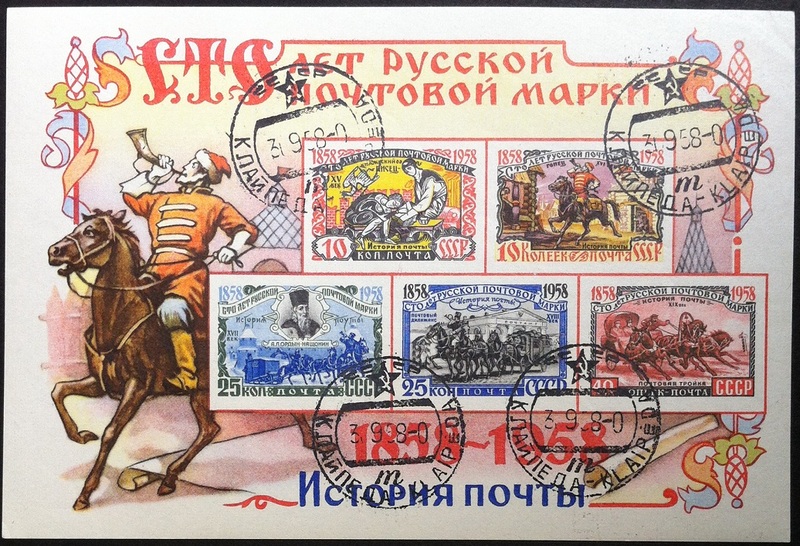 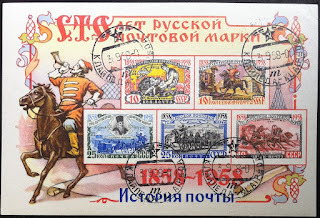 This is a full set of the Soviet souvenir sheets commemorating the 100 years of Russian postage stamp, cancelled in Клайпеда / Klaipėda, Lithuania SSR. 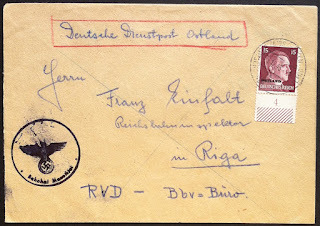 Both souvenir sheets still have gum on the back which tell us that all the postmarks on them are actually CTOs most probably privately ordered since there wasn't any commercial mass production of CTO in Klaipėda as far as I know.